The Paul Brock Band is steeped in the Irish musical tradition but blends in elements from American old time, bluegrass, French-Canadian, and other Celtic traditions. 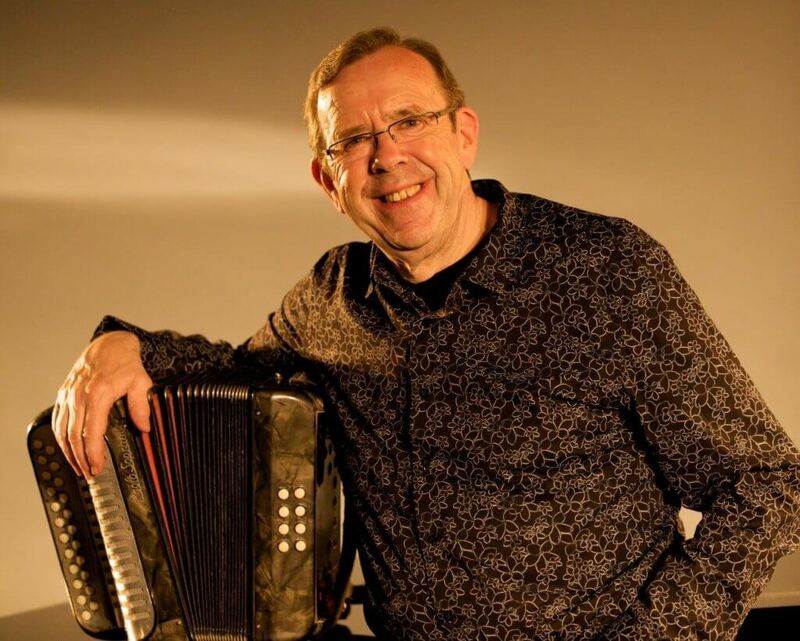 This outstanding group features Paul Brock on accordion/melodeon, voted “Male Musician of the Year” ( Irish American News), and Denis Carey of Newport, Tipperary (owner of the Peter Dee Academy of Music in Limerick) on piano. Denis is a leading Irish composer and has been collaborating with Brendan Graham (“You Raise Me Up” composer) on a series of primarily emigration songs. Rounding out the band is Shane Farrell (banjo, fiddle, bodhran, guitar, mandolin, song), regarded as one of the hottest banjo players in Irish music today, and Eimer Arkins (fiddle, song, lilting, dance) from Ennis, Co. Clare and holder of 11 All Ireland titles. The band tours regularly in the US and has performed at leading venues including the Kennedy Center; the Grand Ole Opry; and the Lincoln Center. It has received numerous accolades, including “Traditional Band of the Decade” from the Irish American News, and has recorded with 14 time Grammy award winner Ricky Skaggs, “Green Grass Blue Grass”, which celebrates the connection between Irish and Appalachian music.